Army Capt. Douglas Di Cenzo - Run for the Fallen New Hampshire, Inc.
30, of Plymouth, NH; killed in action when an improvised explosive device detonated near his Humvee during combat operations in Baghdad. Doug Di Cenzo was born and raised in Plymouth, N.H. He was a friend to all and always carried a smile. At Plymouth High School, Doug captained the football and wrestling teams, the Honor Society and was class president. His love for the outdoors began to call him and some days you could find Doug running up a mountain, "just for the fun of it". 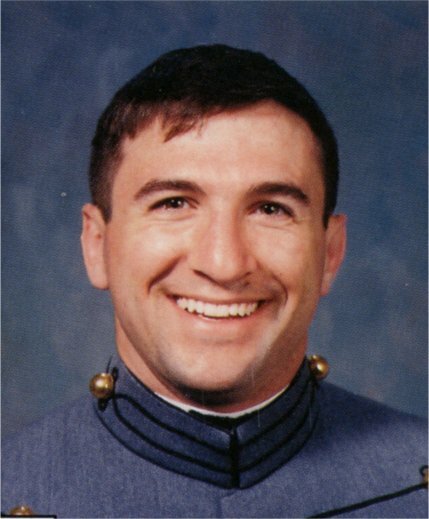 When he graduated high school in 1995, he went on to train to be a leader of men at the United States Academy at West Point. He branched infantry, completed the Army's Airborne and Ranger courses at his first duty station in Columbus, GA., where he met the love of his life Nicole. Engaged 4 months later, they married and set off on what their family called "the great adventure". The Army sent Doug to Fairbanks, AK, back to Columbus, then was stationed in Heidelberg and Baumholder Germany, where he took command of 2-6 Infantry Company. Doug and Nicole had a son Dakin in January 2005. 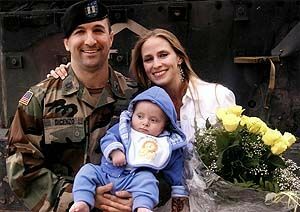 Doug was able to be with his son for 10 months before he deployed to Iraq, where a roadside bomb took his life on May 25, 2006. Doug was 30 years old. 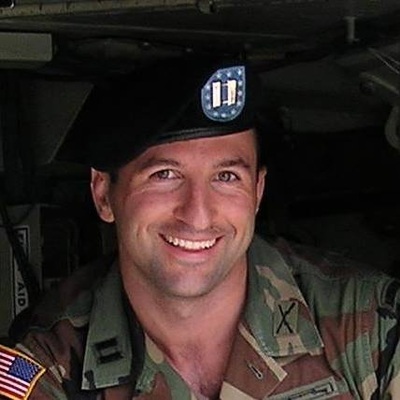 Doug completed the Army's airborne school and ranger school and was briefly stationed in Alaska. In 2004, Doug finished captain's school and took command of 150 soldiers in the 1st Armored Division's Charlie Company. *If you can provide information on Doug's military awards and decorations, please contact us. Doug is survived by his wife Nicole K. DiCenzo and son, Dakin; mother Cathy Crane and stepfather, Mark Burzynski; father Larry DiCenzo and stepmother, Ann DiCenzo and his brother, Daniel DiCenzo.